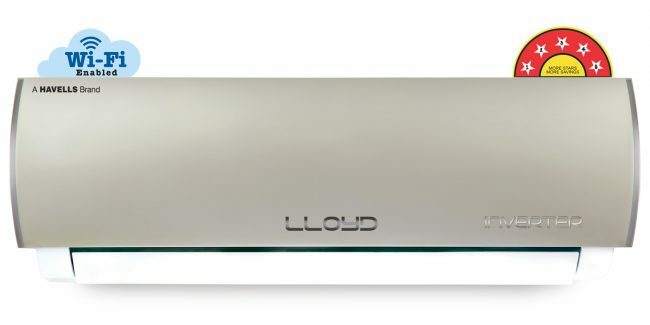 Consumer durable company, Lloyd has launched 1.5 Ton 5 star Copper Inverter Smart Split AC. The USP of Llyod Smart Wi-Fi Inverter Split AC is that it has features of Wi-Fi, voice control, app-based system and 4D express cooling. According to the company, its inbuilt Wi-Fi enables the AC to be controlled from anywhere using an app on a smartphone. This allows the users to turn on the AC according to the time they reach home to step into a perfectly cooled environment. The app also allows the user to get operational data like power consumption and usage hours and the Artificial Intelligence helps to directly communicate with the Lloyd Service Centres. The other highlight of this Ac is that it can be be synced with Amazon Alexa. It works on voice control and can easily be controlled from anywhere in your house by giving a voice command to Alexa. This AC is available across various online channels namely Amazon and Flipkart, apart from the Lloyd website at Rs. 65,990.